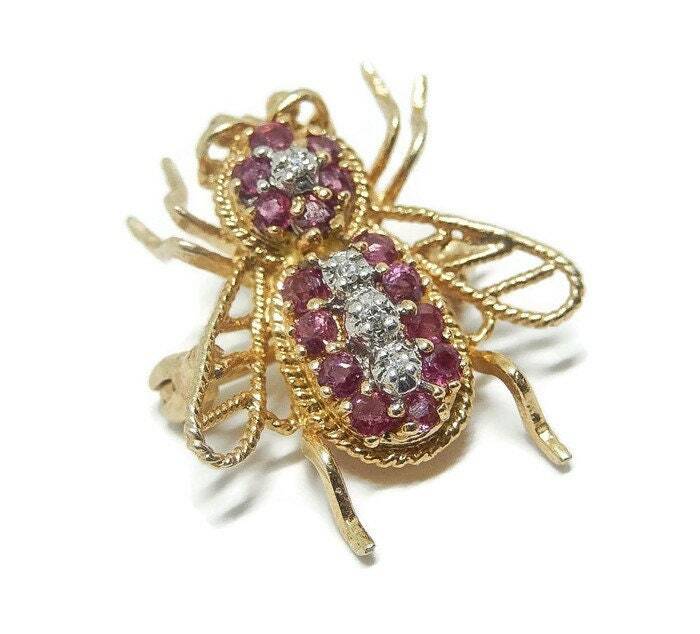 This is a special estate vintage 14k Gold, Rubies, and Diamonds bee pin and pendant. 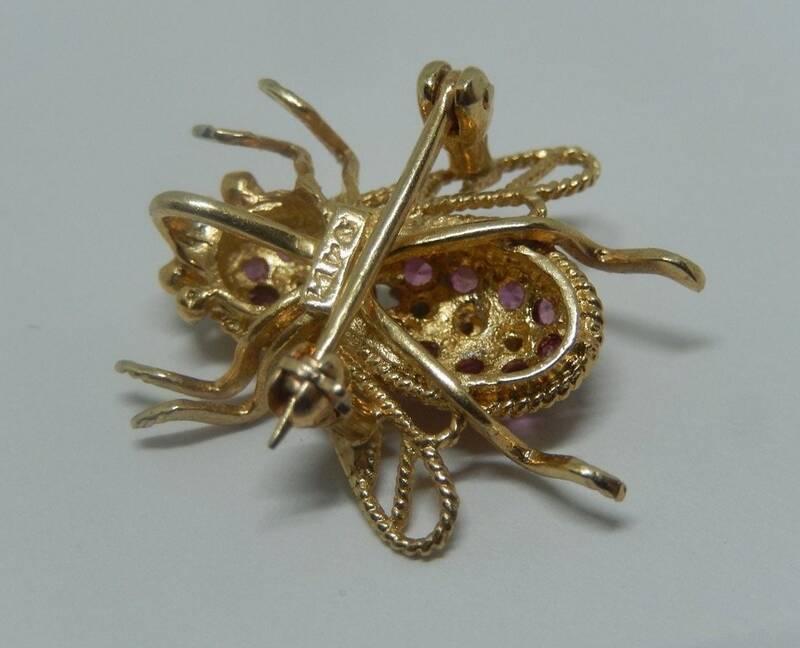 This bee has both polished and textured bright 14K yellow Gold. This dainty beauty has openwork lacey wings and ruby body. 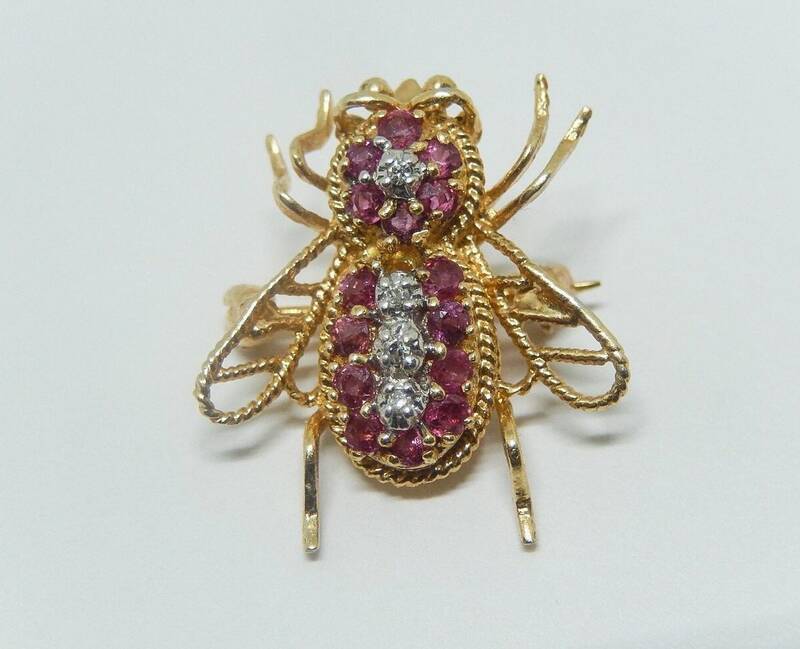 There are fifteen rubies accented with four white diamonds. 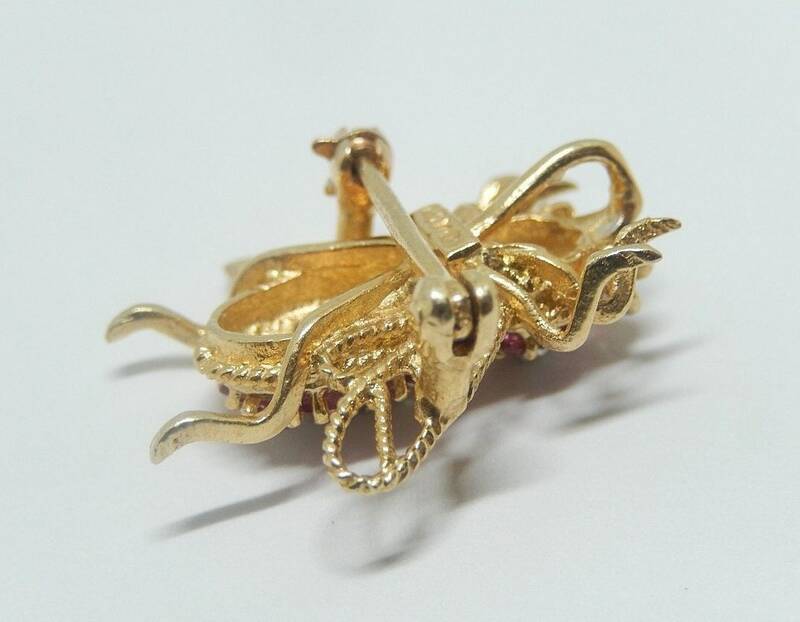 It is marked 14k on the back and a small marking we cannot make out. It measures 3/4” x 5/8” and the pinback is straight and works smoothly and securely. 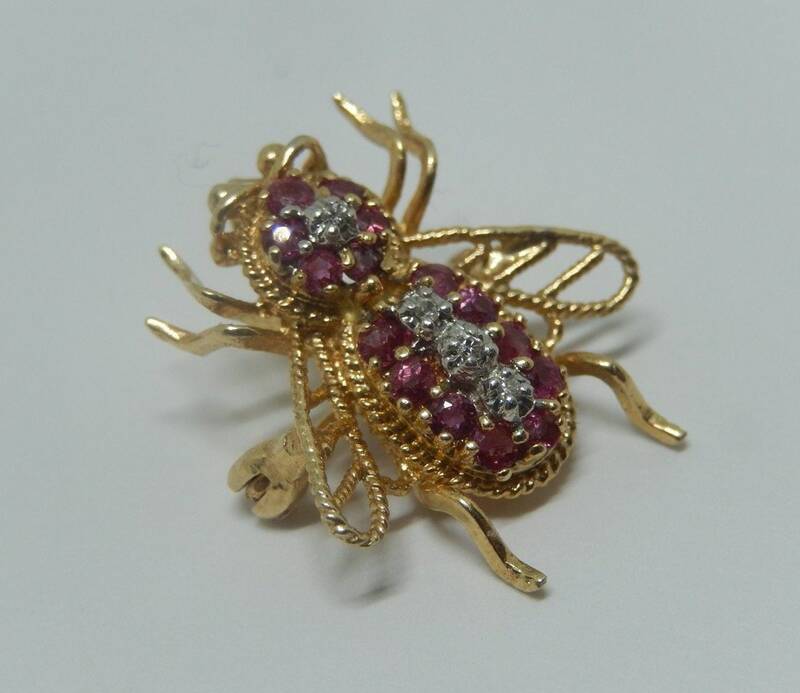 Wear this gorgeous estate bee/bug brooch on a sweater, a jacket, a lapel, or a hat and look fabulous. 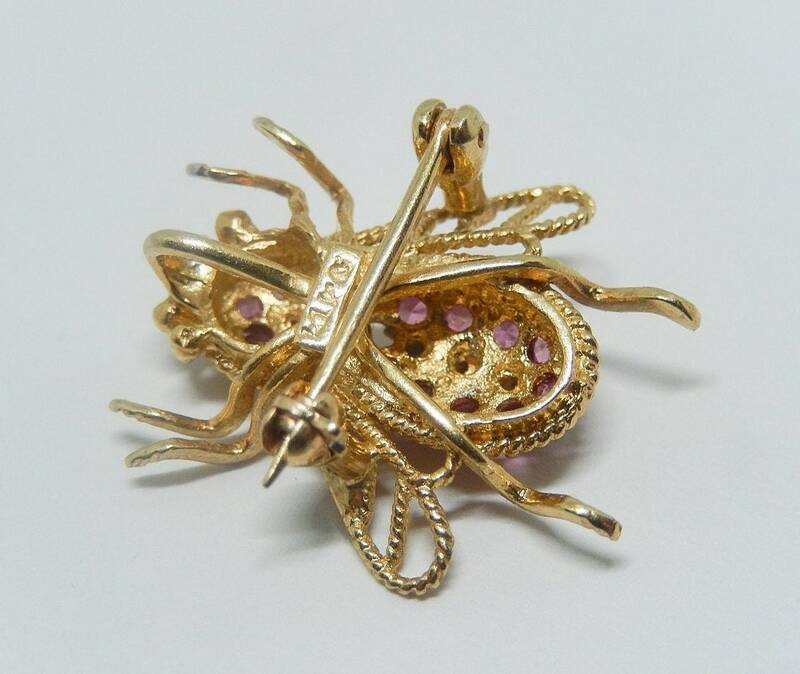 It will look exquisite as a dainty pendant. 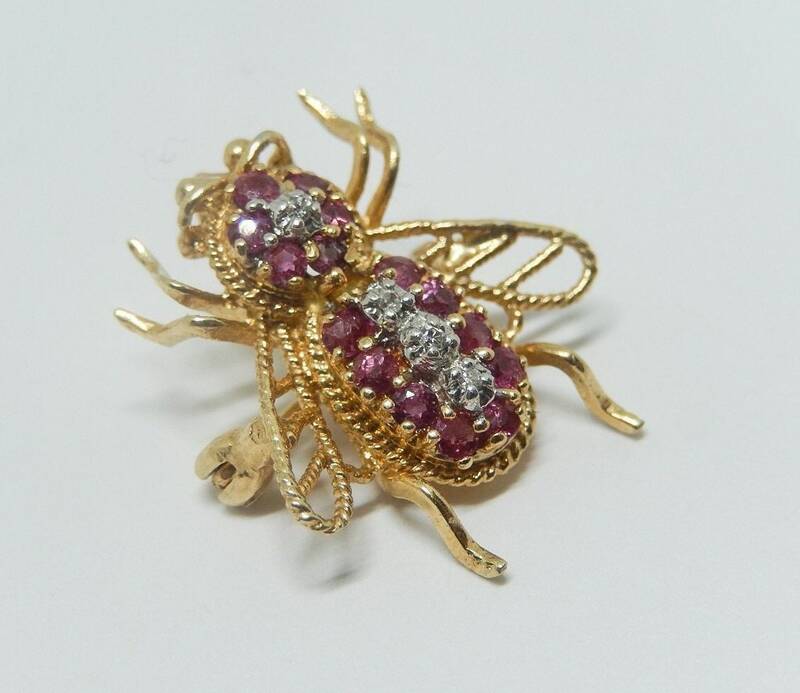 A dainty and sparkly bee that will become your new favorite piece of jewelry!